There’s nothing quite like standing on top of a mountain and looking off into the horizon, and the Smoky Mountains offer an eyeful at every turn. 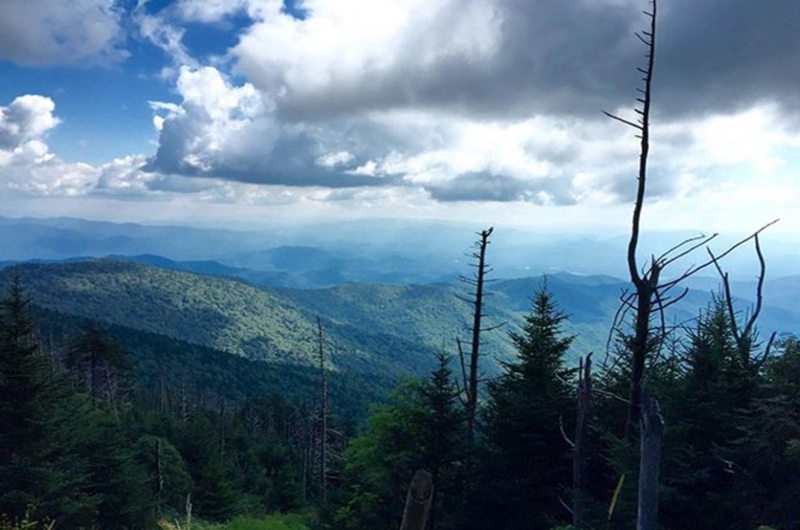 Whether you want to earn the view by hiking up to the top or simply enjoy a nice cup of coffee from a cozy cabin perched at high altitude, the mountains surrounding Gatlinburg, Tennessee won’t let you down. While everywhere offers a nice view, check out these spots for the best of the best year-round. Just be sure to have your camera or iPhone ready because your #nofliter game is about to be taken up a notch. While the cabin itself is a bit too rustic to warrant pearly gates and streets of gold, the views from Absolute Heaven are simply divine. 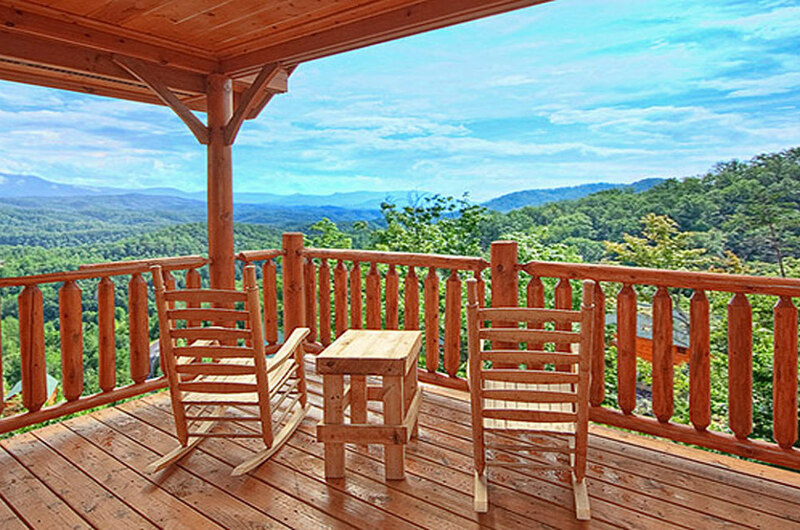 Look out over the Smoky Mountains with a view of Mt. 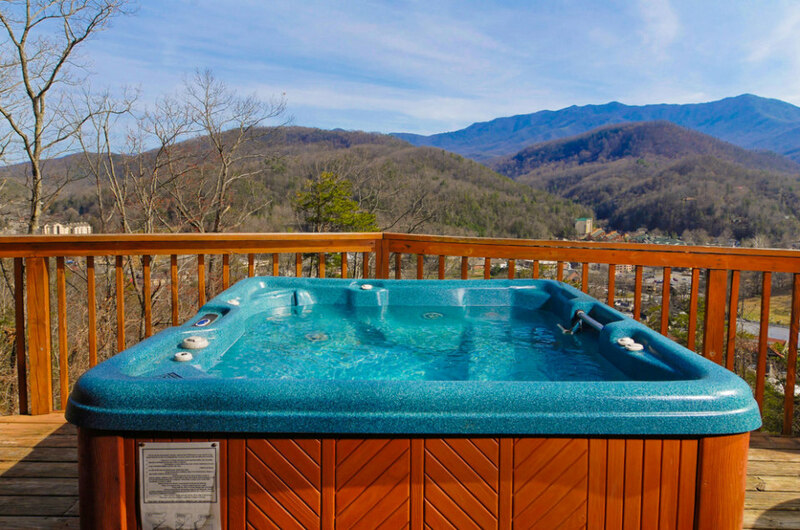 LeConte and the sparkling lights of downtown Gatlinburg while relaxing in your private Jacuzzi tub. Because sometimes you just have to sit back, soak, and relax with the sunset. 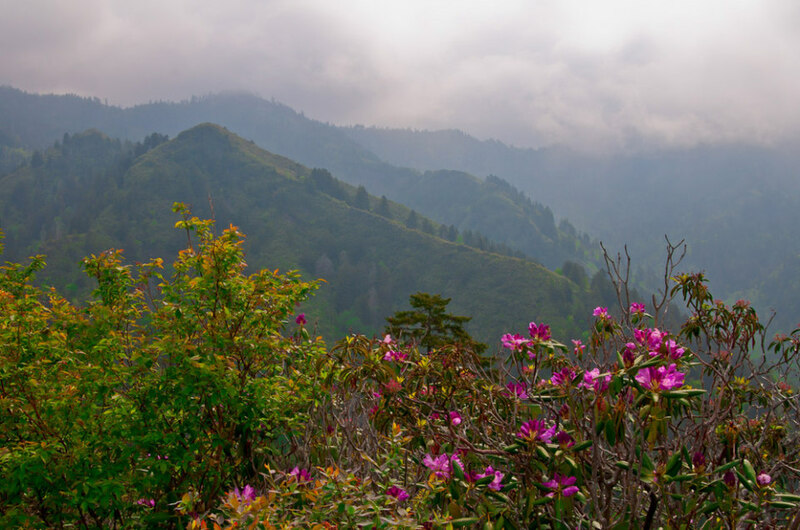 If there were just one classic hike in Great Smoky Mountains National Park, the Alum Cave Trail to Mount LeConte would certainly be a contender. 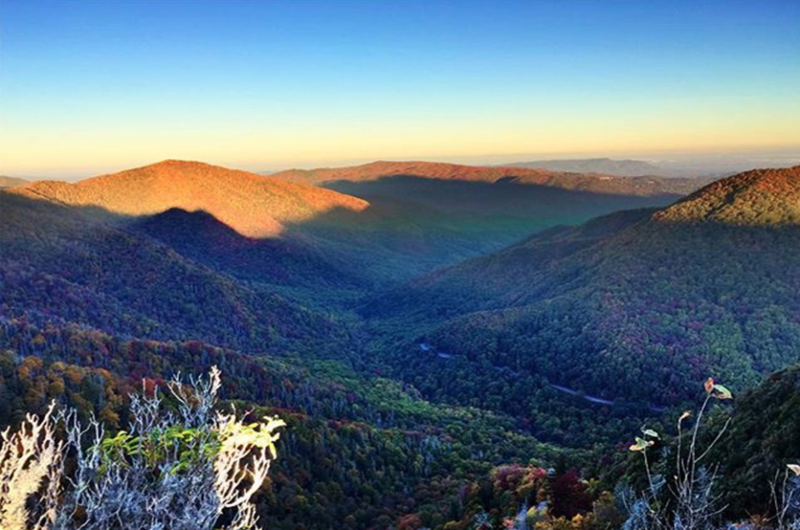 Reaching over 6500 feet of elevation, LeConte is that perfect panoramic shot you’ve been searching for. If you’re an early riser, head to Myrtle Point at sunrise, or Cliff Top for the best sunset views. LeConte is unique in that there is lodging at the top, which can accommodate up to 50 guests, but you’ll need to book well in advance. If you don’t feel like hiking, simply stay the night and get ready for a spectacular wake up call. Clingman’s Dome is one of the more famous peaks in the Smoky Mountains, as it is the highest point in Tennessee and the third tallest mountain east of the Mississippi. There is a paved road up the mountain followed by a steep half-mile trail to the summit. The observation tower offers a 360-degree view of the surrounding landscape and on a clear day, you’ll be able to see over 100 miles in every direction. Careful planning is needed, however, because Clingman’s Dome is often overcast. They don’t call it the Smokies for nothing! A trip to Gatlinburg would be incomplete without a trek to Rocky Top. Aside from being a famous bluegrass song and a traditional University of Tennessee anthem, Rocky Top is a mountain peak that offers stunning views of the mountains and plains below, and if you go in the spring or summer, you may even find the place covered in laurel. The name says it all! A cozy cabin rental, the horizon seemingly stretches on forever with views from the back porch. Relax in one of the rocking chairs, pour a steaming of coffee or kick back with a locally made moonshine and take it all in. You’ll have to work for this last one. The Chimney Tops Trail is incredibly popular and offers some of the best views in the Smoky Mountains, but the hike is fairly steep and a bit treacherous when wet or icy. You’ll be rewarded for the climb with 360-degree views of the area, and you’ll understand why so many people go to the trouble to make the ascent. It’s worth noting that pets are not allowed on any of the trails or at any cabins mentioned here, so you’ll need to plan accordingly. Sorry Fido, only human friends this time.